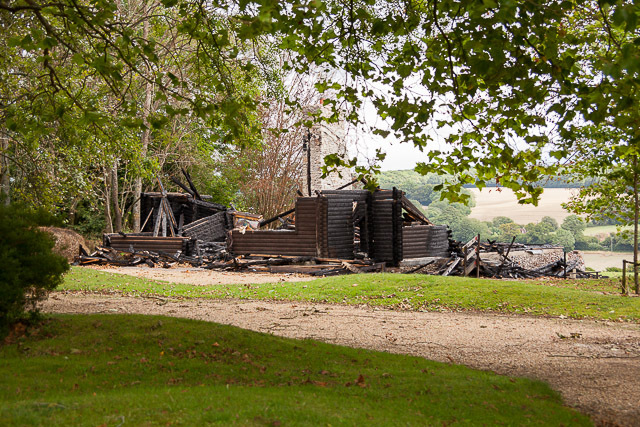 Around 5pm on Friday 4th July 2014 a fire broke out in the lodge and, despite the efforts of 35 fire fighters and five jets, completely destroyed it. Southern Daily Echo Link . Hampshire Fire Brigade Link . The lodge was used not just for shooting parties but also for commercial events such as weddings. It is understood that preparations had been made for an event that weekend. The lodge was a wooden building measuring 15 metres by 12, standing upon a stone plinth, with a stone chimney.